A few years ago, when tensions were escalating between China and Taiwan, I met a colleague from the Chinese Studies department of my university in the hallway who told me how deeply concerned he was about the risk of an armed conflict. With the ignorance of an outsider, I took this lightly; and indeed nothing happened. Now we have changed places; thanks to the Cheonan incident, I am worried. If it turns out that the North Koreans attacked the ship, then South Korean President Lee Myung Bak will be caught between a rock and a hard place. If he retaliates, he will risk a chain reaction that could result in a full-fledged war. If he does nothing, it might cost him his political career and invite further provocations. Much has been written about the proper reaction and South Korea’s options. I will not dwell on this but rather focus on an issue that has been largely ignored. Who did it, and why? Naturally, but wrongly, the West is egocentric enough to interpret North Korea’s actions from the outsider’s perspective. Every step Pyongyang takes is usually seen as a message sent either to Seoul, Beijing, Washington or Tokyo. But as in any other country, and as every structural realist will understand, North Korea is first and foremost concerned with itself. I have stressed this with regard to the nuclear issue, which is at least as much a tool to stabilize the regime in times of domestic difficulties as it is an instrument of foreign policy. Can we interpret the destruction of the Cheonan, if it was caused by North Korea, in a similar way? Sinking a corvette is very different from shooting a tourist or firing a few pistol shots across the 38th parallel. It is even unlike killing an enemy with an axe in the neutral zone around Panmunjom. It is hard not to regard the deliberate sinking of a warship and the killing of 46 crewmen as an act of war. And it is hard to expect the other side not to share this view. So who made this fatal and risky decision? Those in the West who insist on calling Kim Jong Il the Dear Leader (although this title has not been in use in North Korea for one and a half decades), who believe that he is the personification of evil and the only person with power in his country, will argue that only he could have given the order. But this assumption collides with a truism that my students learn in their first semester: the top priority of the DPRK leadership is regime survival. An open war against the South would be suicidal. The “cornered tiger” scenario is the only condition, beyond mental illness, under which Kim Jong Il would choose this option. One possible interpretation of the sinking of the Cheonan is that the situation in North Korea is so bad and the regime so desperate that it believes risking annihilation is its only option. But while it is hard to regard the situation in North Korea as rosy, it has been through worse times. With the currency reforms of 2009, the regime was able to win some time in its otherwise hopeless fight against the inevitable transformation of North Korea’s society when it expropriated the growing wealth from the newly emerging middle class and tried to partially demonetize the economy again. And as far as we know, prior to March 26, there was no intelligence pointing to unusual troop movements; no increase in communications that might have signaled something out of the ordinary was about to happen or signs that a change in the military’s alert status was about to take place. Of all the possible scenarios for why North Korea would have been involved in the Cheonan incident, the one that should worry us the most is the possibility that it was NOT Kim Jong Il who gave the orders. While in 2008 one could have imagined, under certain circumstances, that a young recruit overreacted and shot a South Korean tourist at Mt. 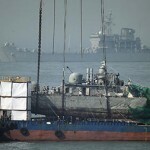 Kumgang, it is much less likely that the captain of a North Korean submarine had a short fuse and sank that corvette. He must have done so upon receiving orders, or at least a “go ahead” from someone above him. The higher up we move in the command chain, the stress motive becomes less likely. A lieutenant commander in his sub might think twice; a rear admiral will think ten times before pulling the trigger. If the North Koreans torpedoed the ship, and if it was not done after a self-destructive order by Kim Jong Il, this may be proof of a destabilization of the current leadership in Pyongyang. Sinking the Cheonan without consent by the top leader would be an open act of insubordination. An autocratic leader who does not have his lieutenants under control becomes a liability to the system. It is fear and the unchallenged authority of the top that keeps an autocracy together. Many of us have argued that such considerations had allowed Kim Jong Il to take over power from his father so smoothly despite his very different personality: the elite knew that regime stability depended on a strong and undisputed leader, and he was the only realistic candidate for the job. Yet, years have passed since 1994, and North Korea has changed substantially. A famine, a set of failed economic policies, and Kim’s obvious health issues have created a situation of frustration, insecurity, and nervousness. The Pyongyang elite will be holding their breath and watching closely how Kim Jong Il reacts. What if he does not succeed in creating the impression that sinking the Cheonan was his idea? Even if so, this is a catch-22 since it invites a potentially destructive counter reaction by South Korea and the United States. If it wasn’t done on his command, will Kim Jong Il conduct a major purge of the culprits like his father did in 1956, when a trip to Europe was used to launch a coup against him? If he doesn’t, then the vultures will get more courageous. However, it is very unlikely that an unfriendly takeover of the top post in Pyongyang would happen quickly, effectively, and peacefully. Chances are much better for the emergence of the chaotic situation that North Korea’s neighbors have tried to avoid for a long time at the economic and political cost of deliberately propping up the Kim Jong Il regime. The potential effects include a humanitarian disaster, a last-ditch effort at a military solution, or the active involvement of superpowers like China. In short, we have reason to be really worried this time. And we can only hope that all this speculation is overemphasizing negative scenarios, and that a few months from now, everything will be back to business as usual, just as it did when China and Taiwan seemed to be on the brink of war a few years ago. Recommended citation: Frank, Ruediger, “An Act of Open Insubordination? Implications of the Cheonan Incident for Domestic Politics in North Korea ,” 38 North, Washington, D.C.: U.S.-Korea Institute at SAIS, Johns Hopkins University, May 9, 2010. Online at: www.38north.org/?p=732.